No words can really do Justice to the photo below…. 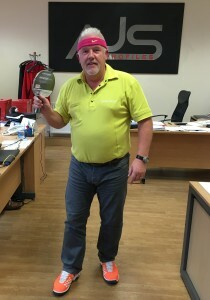 Super salesman Bill Gould “dressed to impress” for an inter-company table tennis tournament. When hes not quoting our wonderful customers Steel profiles and Lumsden Grinding, he is quite the sportsman. Needless to say, Super salesman Bill Gould won the tournament as no-one could concentrate on the ping pong as they were laughing too much at his attire !! Super salesman Bill Gould also gained a new nickname at the tournament – King Kong Ping Pong ! 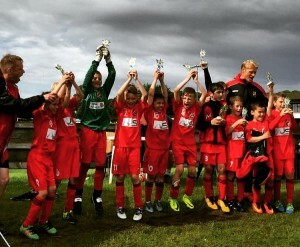 AJS Profiles sponsored football team wins tournament. After another disappointing tournament for England this summer, AJS Profiles are delighted to announce some good news on the football front. PS Olympic Under 9’s have just won the prestigious Oldswinford football tournament. Wearing their fantastic new red kits, sponsored by AJS Profiles, they went unbeaten in the group stages and won the final 3-1. Well done to the boys, and keep up the good work. 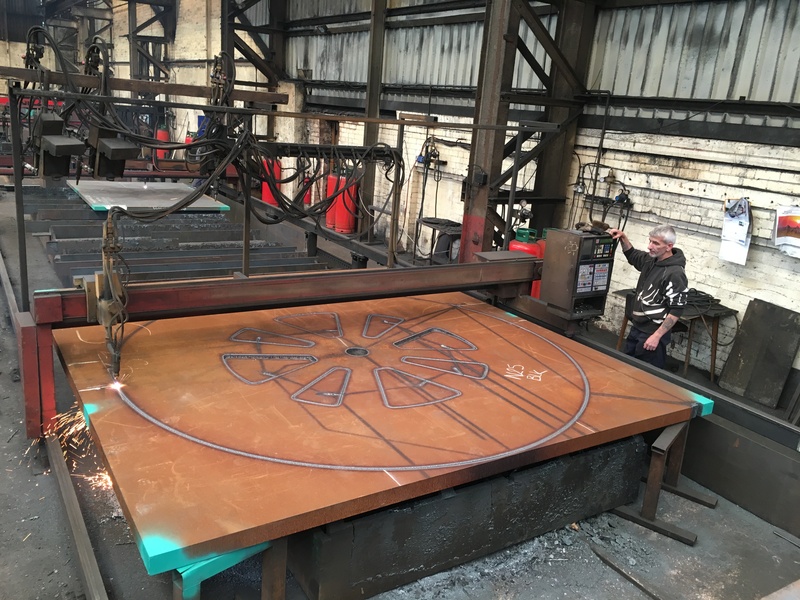 Most steel profilers in the UK can cut 2 metre wide steel plates, fewer can cut 3 metre wide plate and not many steel profilers at all can cut wider than 3 metre. 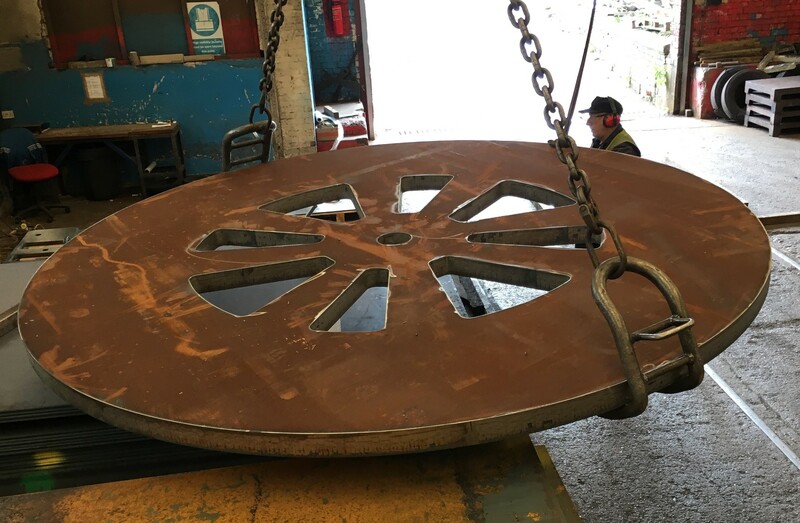 Here at AJS Profiles, we can cut up to 4 metres wide. 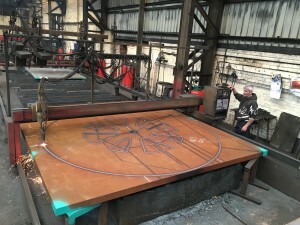 The blank below is 3600mm diameter. If you require large steel profiles in 2-3 days, make AJS Profiles your first port of call.